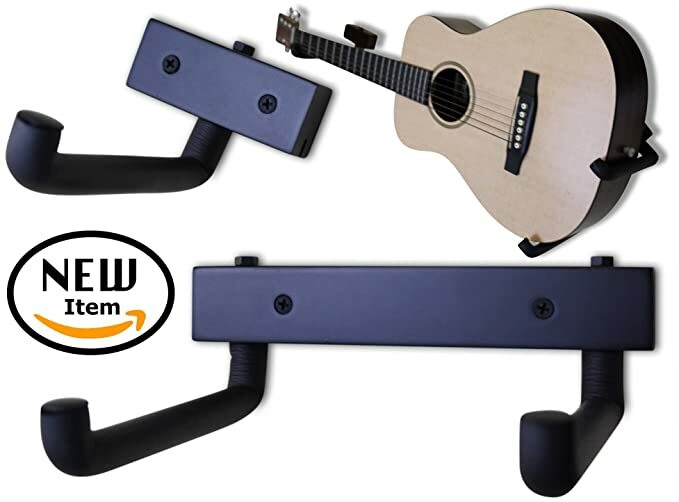 Headless guitar or bass wall mounts. It seems like someone asks here for suggestions about once a month, and on Facewbook someone asks once a week (at least). So, i figured I'd start a thread where everyone can share their options, and then any time someone searches, they'll find this thread, and it'll be an easy way to share this thread on FB when someone asks there. Here a few I've come across that look like they should work. Does anyone have any experience with these or others? For those who have asked about stands for the Vader! Just received a Hercules mini guitar stand and it works great for my Vader. The two strap buttons fit right inside the bottom pads n lock it in. Will be ordering a second one for my Zeus. Last edited by spudmunkey on Mon Mar 18, 2019 5:41 pm, edited 2 times in total. 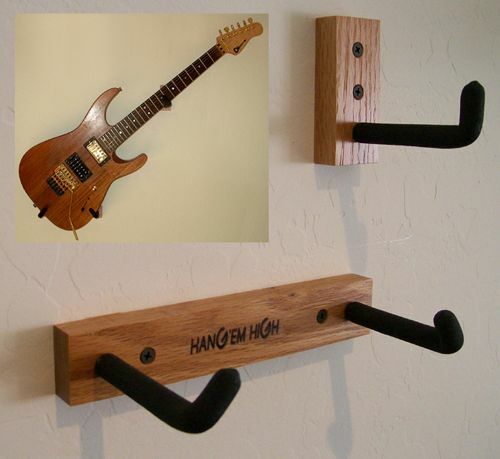 I have the Woodsies invisible guitar hanger. Did the job of making the guitar look like a display piece. After I bought a big rack for my guitars however, I don't really need to hang them on the wall anymore. I still have the brackets if the urge should strike to feature one of my guitars very prominently on the living room wall and my wife's ok with it. ilyti wrote: I have the Woodsies invisible guitar hanger. Did the job of making the guitar look like a display piece. After I bought a big rack for my guitars however, I don't really need to hang them on the wall anymore. I still have the brackets if the urge should strike to feature one of my guitars very prominently on the living room wall and my wife's ok with it. 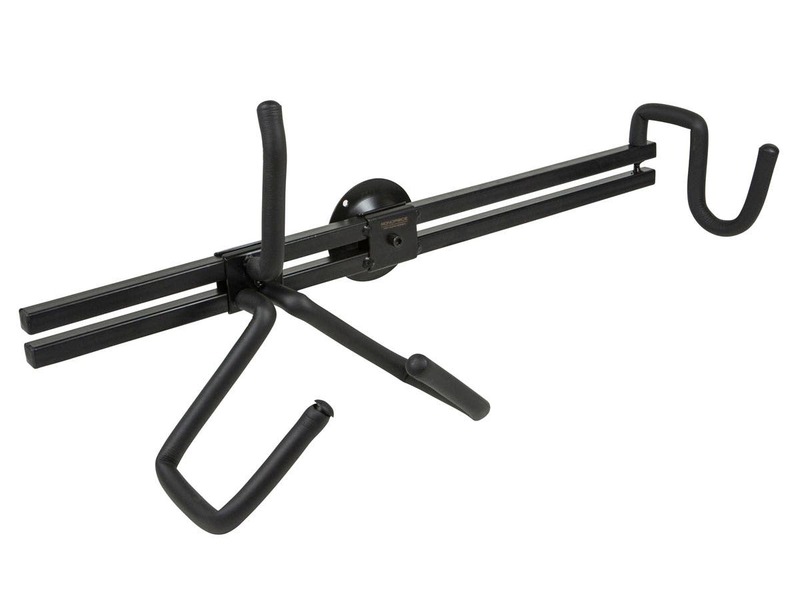 If I understand correctly, the way these attach and detach, it's not really a one-handed job, is it? I wonder if anyone makes anything that would function the same way, but made of and much much stiffer and stronger plastic, like maybe something reinforced with glass fiber,, that instead of flexing to open up holes would instead just have vertical slots that the strap buttons would slide down in, so you could grab or stove with one careful hand. spudmunkey wrote: If I understand correctly, the way these attach and detach, it's not really a one-handed job, is it? Yea you kinda needed to hold the guitar with one hand while the other pulls one of the clips away. Guitarists tend to have two hands though so for most it wouldn't be a problem. 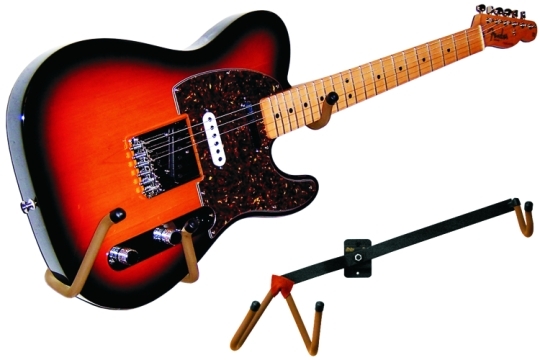 Those Woodies holders will not work if one is using Loxx strap locks, since those are little more than a nub on the end of the guitar (but they work very well). Nothing new from me. But I just wanted to point out that the monoprice one appears to be the only one that has padding for the rear of the guitar. However it's not like it's difficult to add felt padding to the mounting blocks of the others. When my Skervy is completed, I'll be wanting something. I've edited the thread title to include floor stands as well, as someone posted a great option from Hercules, that works for their Vader, on Facebook and thought it was worth documenting/archiving somewhere... I've added his post, photos, and links to the bottom of the first post.